When I said that Nigerian security agents should undergo psychological tests before being employed, I was damn right. They’re always pictured fighting or beating up people. This uniform should be a face of respect NOT disgrace!!! 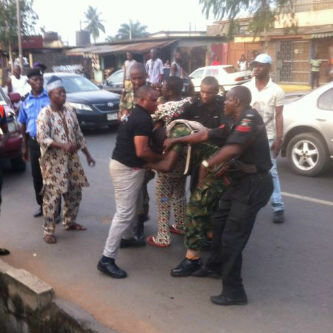 This entry was posted in Funny Videos and tagged DISGRACE:Nigerian Army Officer VS Civilian.